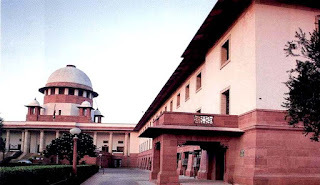 Shedding light on stereotypes attached to people from the North-East and propagation via popular media, a PIL has been filed seeking the Supreme Court’s immediate intervention to check discrimination against the Indian Gorkha community. The PIL sought measures to prevent anyone from making any derogatory, discriminatory, racist and stereotypical remarks, either through social media or through any other means, portraying them entirely as security guards or chaukidars and giving them names like ‘Bahadur’ ,‘OOO Sabji’ and many other names associated with it. The PIL also challenged a recent advertisement by Flipkart, an online shopping company, for its alleged mockery of the Gorkha community, and for stereotyping the whole community as being chowkidars with ‘overly-exaggerated and highly offensive Hindi accent’. The petitioners stated that the advertisement ‘has gravely humiliated, defamed, defiled, denigrated and tarnished the honour and sentiments of the Indian Gorkha community’. They sought a complete ban on the stated advertisement or direction to ban on the use of the traditional Gorkha “topi” and weapon like ‘khukuri’, which is the biggest religious and cultural symbol for portraying any person as watchman in any public platform like in movies and advertisements for the purpose of entertainment. Order or direction of making an apology in public forums like newspapers and televisions by the company was sought. They prayed that use of words like “Bahadur” and “Sabji” in public domain be banned. They also claimed that the Indian cinema is the biggest culprit, which portrayed Nepalese/Gorkhali as either the Khukuri- wielding Gorkha soldiers or the Baton-wielding guards. ‘Indian cinema creates a largely imaginary picture of witless Gorkha, used as a prop to evoke humour.’ They expressed ire at attributing two words ‘Memsaab’ and ‘Sahabzee’ to the community. The PIL claimed that all this discrimination was infringement of the fundamental rights guaranteed under the Constitution. It highlighted violation of right to equality and right against discrimination. It stated, ‘Such discrimination has lowered the self esteem of the community making them a subject of ridicule in the eyes of the other communities that eventually discriminate them as “Bahadurs”. This case is same as calling people Untouchables and Sudras. If practicing Untouchability is violation of Article 15, then calling a person Bahadur and wearing the communities’ spiritual topi and weapon and making them part of a security guard’s uniform and degrading their respect and honour is also discrimination.’ The petitioners claimed that there is a serious threat to Article 21 of the Constitution as Article 21 guarantees the right to life of every citizen in a dignified manner. Several Sections of the IPC, including Section 295, 295A and 499, were alleged to have been violated, calling strict action. ‘One of the salient reasons for the present writ petition is the increase in the propaganda of racial stereotype against the Indian-Gorkha community people infringing on their fundamental right to live a dignified life and also discriminating the community by stereotyping them in a humiliating and derogatory manner by defaming the entire Indian-Gorkha community at large,’ the PIL stated. The petitioners expressed regret over the highly internalised bias against the community that goes way beyond the confines of media. They highlighted the sad state of affairs exist despite display of courage and sacrifices made for the nation and sought immediate steps in the direction.